The new collection has hit the shop and is a celebration of springtime renewal and an ode to the bohemian lifestyle. 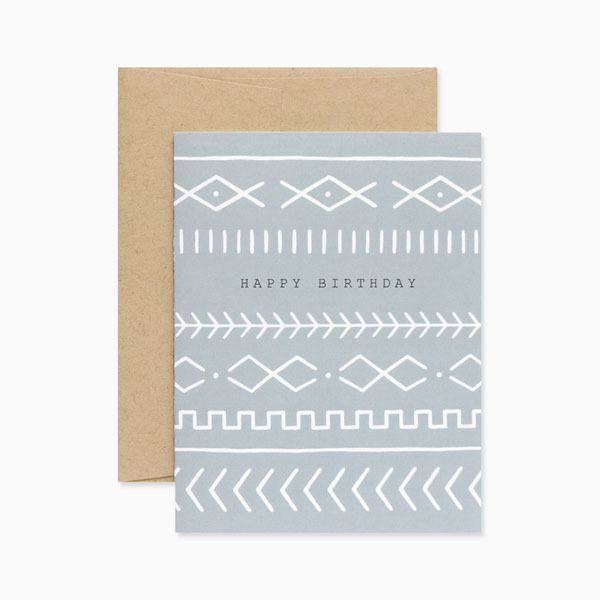 It includes 25+ new greeting card designs with southwestern and moroccan influences and features a combination of botanical illustrations and tribal patterns. 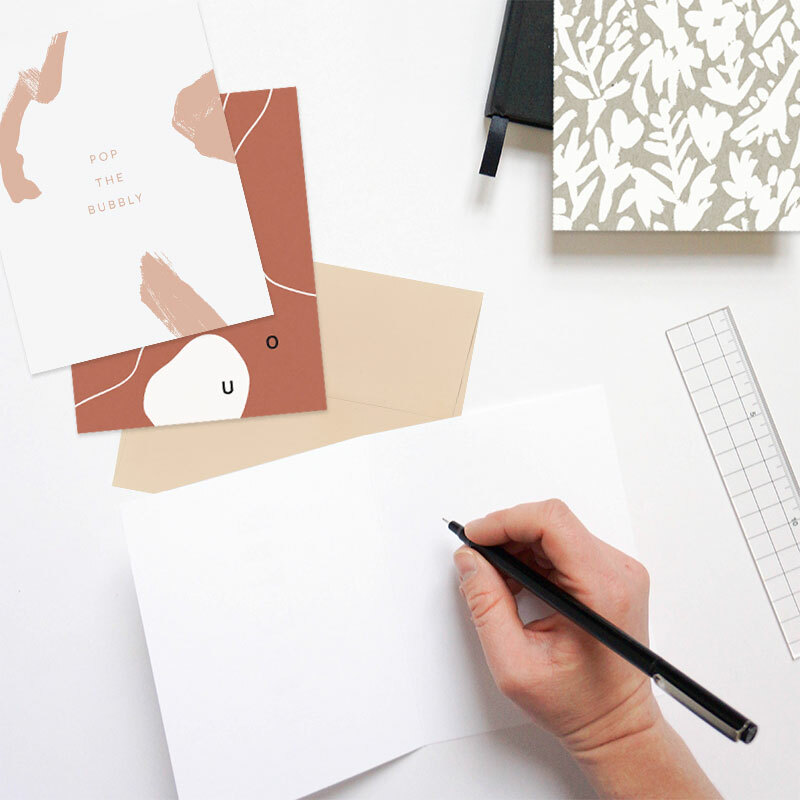 It's artful, yet subdued and will add a modern touch to your correspondence. Happy first day of spring! I noticed some green starting to pop out of the ground yesterday and I did a little happy dance. I am looking forward to when everything is in full bloom and plan to reintroduce these pretty cards into my rotation to celebrate the occasion. Meanwhile, I've been working on lots of flowery things, which will be making their way onto new products debuting next month. I can't wait to reveal it all and encourage you to sign up for my newsletter so you can be the first to know when they hit the shop. The Valentine's Day collection has arrived and is packed with simple and beautiful greeting cards to help you spread the love this season and every day throughout the year. Mix and match your favorites or stock up with a boxed set to let everyone know how much you care about them. Christmas is about two weeks away and my to-do list just keeps getting longer. Let's not even mention the fact that I haven't begun shopping for gifts yet. I was really looking forward to some down time to unwind after three busy months abroad, but the madness just continues. While I'm excited about all the upcoming festivities with friends and family, I am also secretly wishing I could go into hibernation for a few months once it all passes. Who's with me? In the meantime, I wanted to remind you that my shipping cutoff for US orders is December 15 with standard shipping or December 19 with Priority Mail shipping. I also have a few deals going on until then, including 5 for $15 mystery card packs and $5 off day planners (regularly $30). Get those orders in now to ensure on time delivery for the holidays! And thank you for choosing to support independent and local businesses this season. Hey Chicago friends! Please join me for a night of DIY merriment at The Market by Foxtrot on Tuesday, December 13 from 6-8pm. Learn how to make poms, tassels and paper ornaments to give your gifts and decor a cool handmade touch this season. I'll also teach you how to turn each piece into a garland to adorn your walls year-round. TICKETS: Please email ashley@foxtrotco.com to reserve your spot. Space is limited.